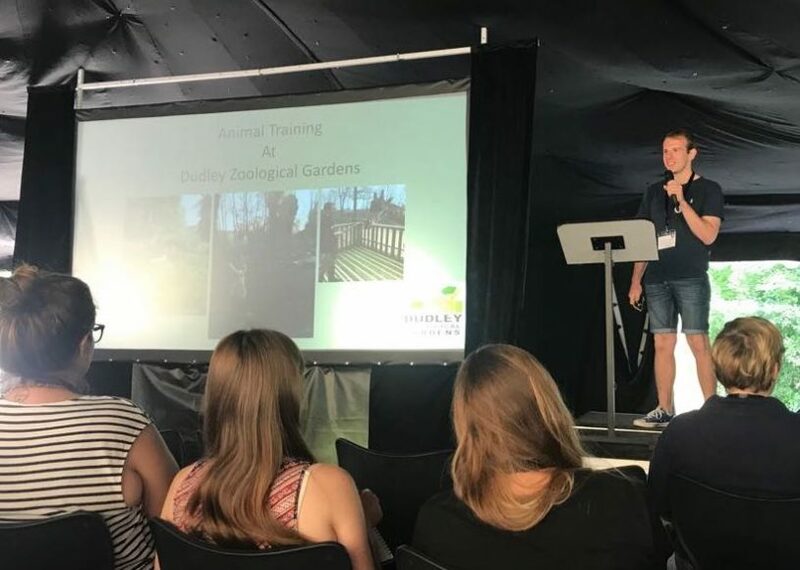 Two DZG keepers took centre stage to share research findings and training techniques with zoo keepers from around the UK. 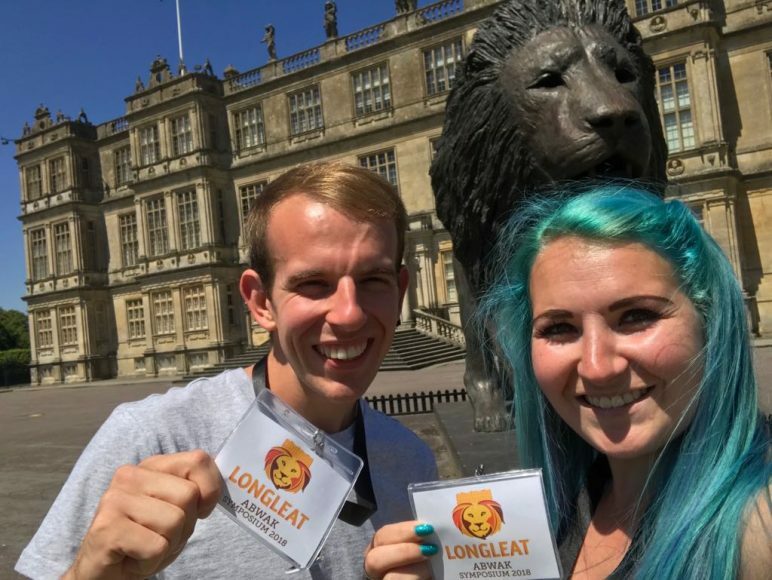 Earlier this month, Senior Primate Keeper Jade Reddall and Ungulates Keeper Josh Luxton took part in the ABWAK (Association of British and Irish Wild Animal Keepers) Symposium 2018 at Longleat – and both impressed the 250-strong audience with their informative talks about our animals. Jade presented the findings of her observational study of our gelada after monitoring their activity to see how it compared to how wild troops behave. The eight-hour study, conducted in random 20-minute stints last November, showed their grazing, foraging, resting and travelling habits to be remarkably similar to how the primates behave in the wild. 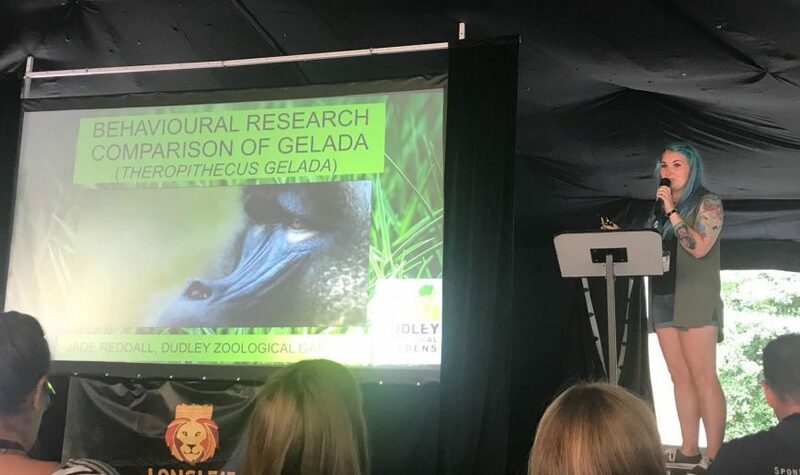 She now hopes to get the research published and undertake a year-long study to investigate if Dudley Zoo’s gelada – one of only six collections in the UK – graze differently in each of the seasons. Jade said: “I really enjoyed the experience of speaking at the conference and want to do it again. I especially enjoyed the research side and would love to get my findings published. I’m also looking forward to expanding on what I’ve already discovered and see if there is any seasonality in the grazing habits of our gelada. Josh’s talk focused on various training techniques used on our giraffes, Brazilian tapirs and red pandas which are invaluable when it comes to carrying out visual health checks on the animals. Well done Jade and Josh!